The AMP team guided Archibots: Remaking Agbogbloshie design participants through Agbogbloshie by first introducing them to the the executives of the scrap dealers’ association. We proceeded through Rauf’s shop, where large volumes of refrigerators are processed, to the National Youth Authority Building, through dismantling and processing sites, past the areas where copper cables are burnt and all the way to the plastics recycling sector near the International Central Gospel Church. 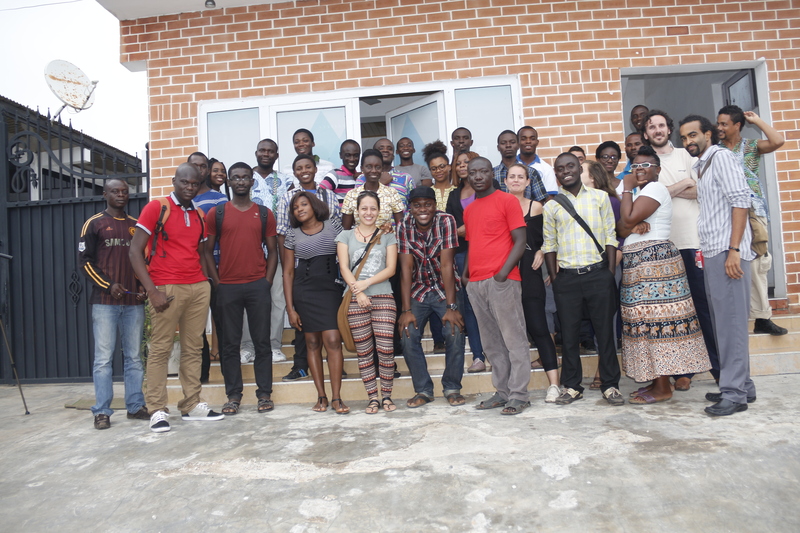 Back to Hub Accra (thanks for hosting us! ), the fun could begin! 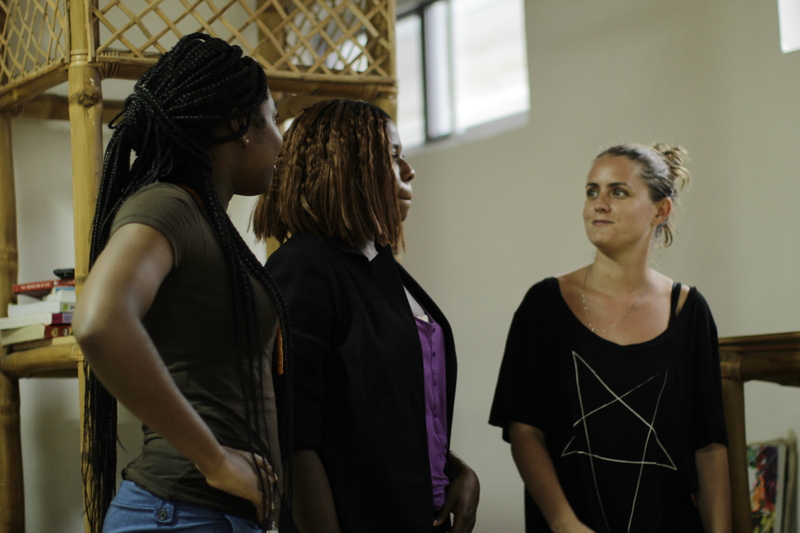 After hearing a brief introduction about AMP (DK Osseo-Asare, AMP co-PI) and the objectives of the design workshop (Juliet Sakyi, TAP: Build founder), participants brainstormed about possible architecture robots for Agbogbloshie and its population. Sam Yusuf, who hails from Agbogbloshie and currently works with AMP on interviews and GPS mapping, also attended in order to share some of the ideas with informal sector community. MESH has prepared a video showing highlights of the event. Amongst the multitude of ideas that emerged, participants chose to pursue investigating the following: SMOKEYBOT – a robot that reduces the smoke in Agbogbloshie by grinding and processing copper wires ; SOLARBOT – a mobile tent, with a capacity to harvest solar energy, detect light and intelligently self adjust to provide conducive working environments ; SPIDERBOT – a zoomorphic robot with the ability to collect, transport and process large volume of e -waste at a time and a POWERSUIT – an apparel for humans, with the capacity to read, interpret and transmit biological data to the wearer, boost physical performance and contain computing capacity. So the adventure isn’t finished yet… Participants have expressed their interest in following-up with M&D – Making and Development. AMP is actually formalizing a 3 week summer workshop, so stay tuned! The turnout was awesome and we thank all participants for coming and our partner organisations MESH and Tap for their support and contributions. 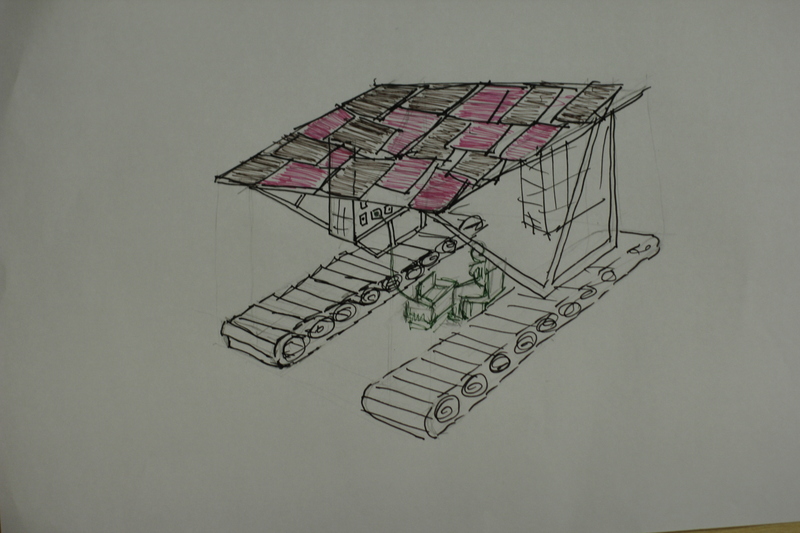 The first session of the Archibots workshop came off as scheduled on the May 30th 2014. The event was well attended by people from various disciplinary backgrounds. There were engineers, architects, CAD technicians, business men & women and lecturers as well as from various nationalities, such as Spain and the Netherlands. 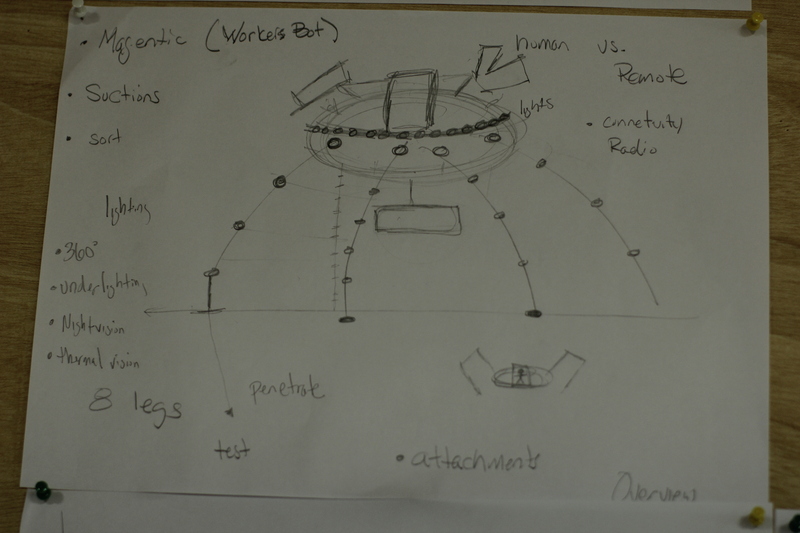 This was the introductory session for Archibots, a design workshop to prototype architecture robots for Agbogbloshie. 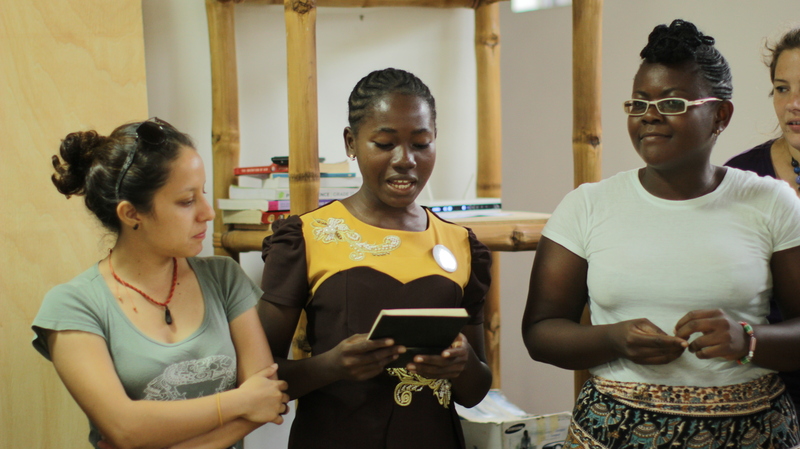 As part of the event, all three collaborating organizations (tap, AMP and MESH) made presentations on what they do. 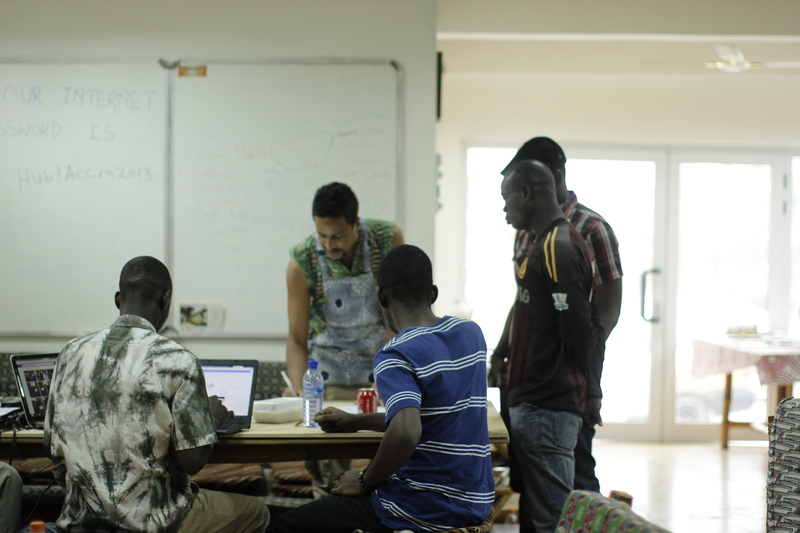 AMP co-lead DK Osseo-Asare, introduced participants to Agbogbloshie E-waste circuitry, which is the context for the architecture robots to be designed and the key design concepts as far as AMP is concerned. 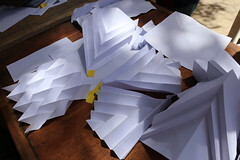 Some of the videos that were selected to provide inspiration for participants can be found here . 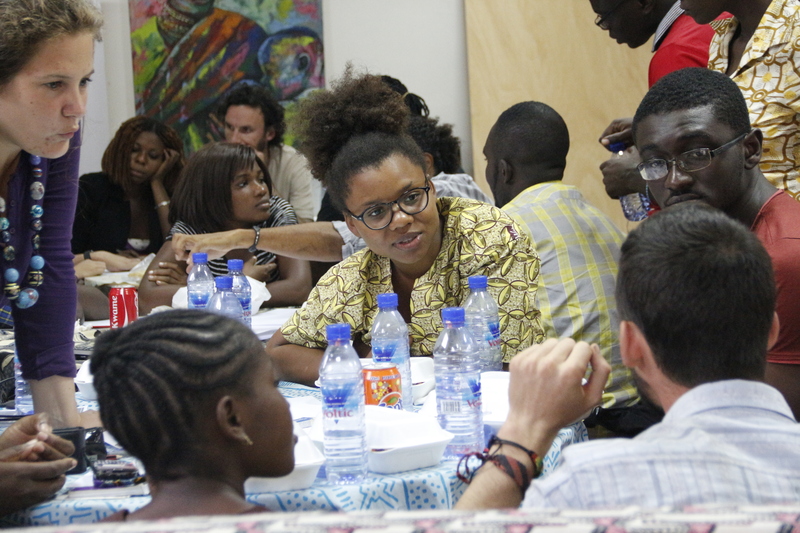 The team is eagerly awaiting the next phase which is the design session scheduled for June 7th 2014 at Hub Accra. This promises to be just as exciting as the May 30th event. Thanks to our friend and ally, media partners MESH Ghana for compiling footage of the event, which can be found at Archibots: Remaking Agbogbloshie. Re-making Agbogbloshie is a tap:Build design workshop conducted as part of the Agbogbloshie Makerspace Platform QAMP series of maker workshops. MESH Ghana is the media partner. AMP approach contends that (domains of) architecture and electronics have converged. At such a moment — if we can make open, democratic and collective the capability of manipulating materials from the level of chemistry up, by means of digital technology, we can move beyond the notion of “e-waste”. Electrical and electronic equipment (EEE or 3E), old or new, constitute a vital stream of raw material for the global production chain. In particular, while there is fundamental overlap with the elemental “stuff” of digital space, it is equally important to note that the majority of EEE materials* are generally recyclable such as plastics, steel, aluminium, copper, or other specialized or high-value materials. Re-making Agbogbloshie is a collaboration between Agbogbloshie Makerspace Platform (AMP) and The Architects’ Project (tap:). 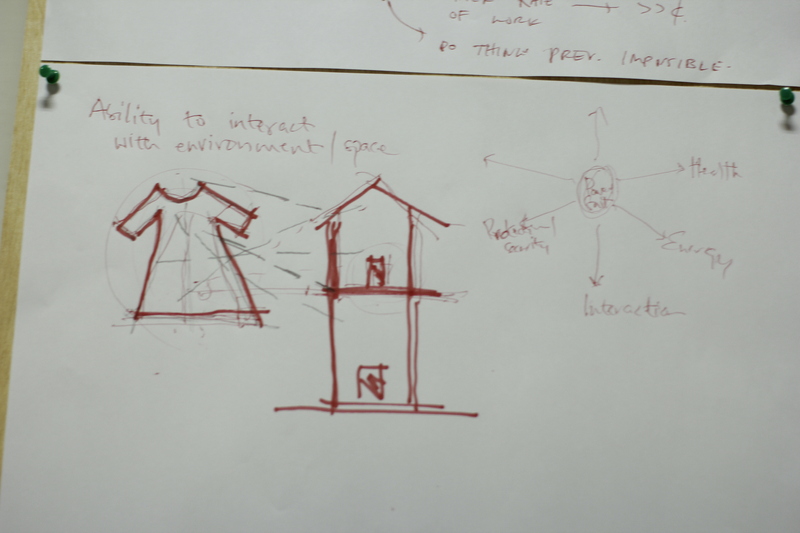 The workshop seeks to design and prototype practicable architectural interventions — at the level of equipment — that can inform the discourse of industrial landscapes like Agbogbloshie scaled through kiosk-size 3E materials processing machines, i.e. 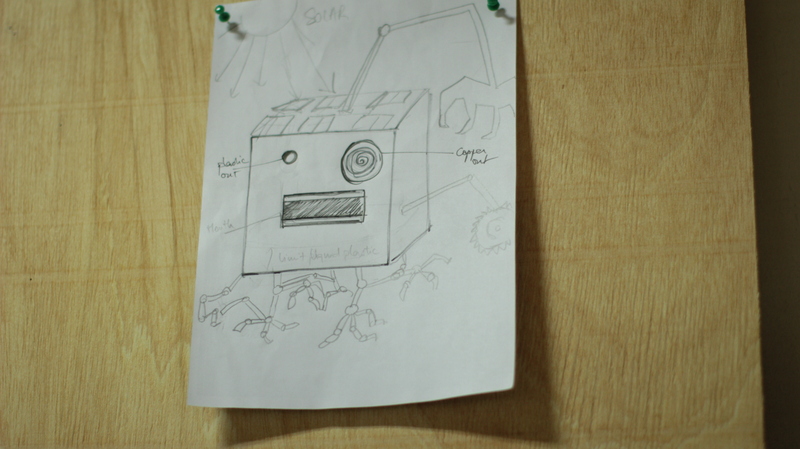 micro-industrial digital fabrication bots. 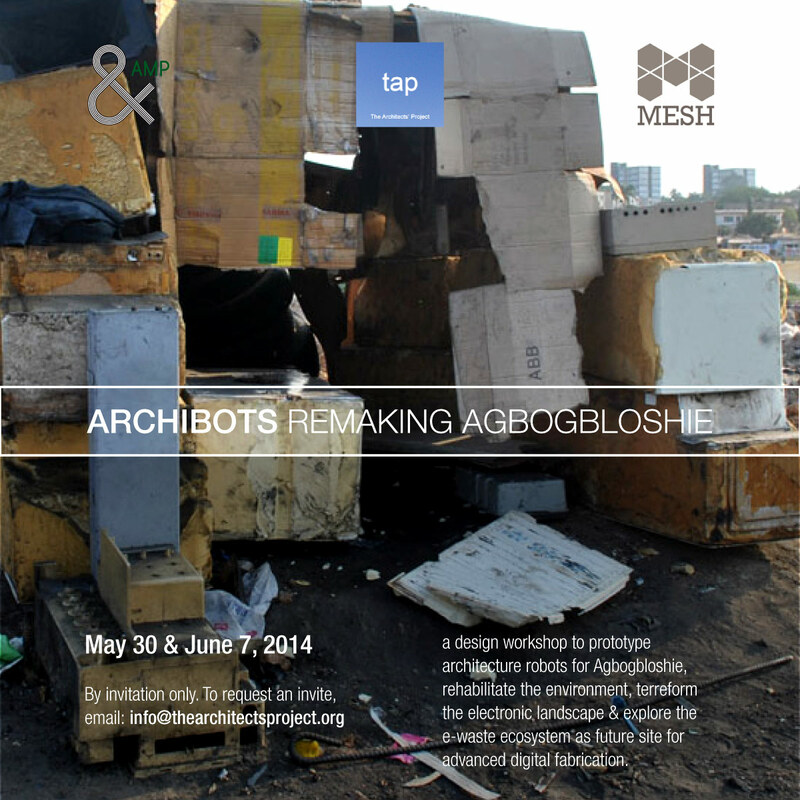 Re-making Agbogbloshie design workshop is an exploration of small-scale architectural interventions that operate more than as kinetic micro- shelters — they additionally include “robotic” or electronic systems and tool/equipment functions. 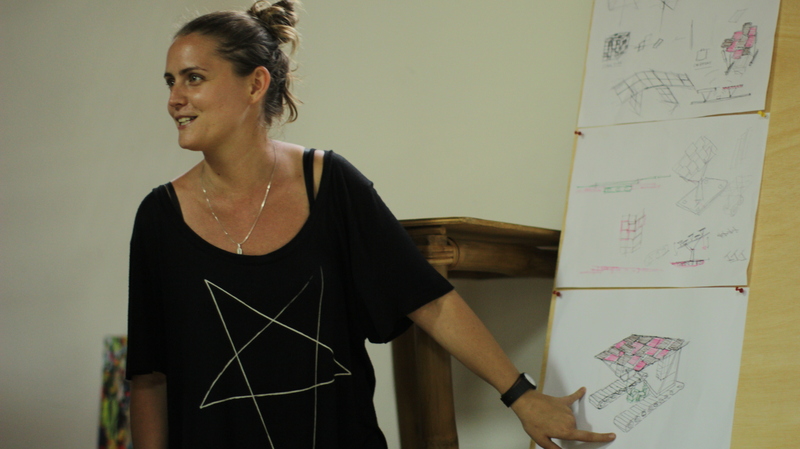 The workshop seeks to design “architecture robots” that could assist humans in processing 3E materials, phytoremediation of the contaminated landscape and actively supporting the Agbogbloshie lifecycle. Agbobloshie: Every year, tons of electronic waste arrives on the shores of Ghana. A huge proportion of this deluge of e-waste flows through Agbogbloshie, where a vibrant community of e-waste workers and makers reuse, recycle and upcycle end-of-life electrical and electronic equipment. However, some of the crude methods used for dismantling e-waste and processing scrap (such as burning wires and cords to recover the copper) are highly polluting: they negatively impact the health of e-waste workers and have led to Agbogbloshie’s notorious position as “the most polluted place on Earth” for 2013, according to Green Cross Switzerland and the nonprofit Blacksmith Institute (USA). E-waste: E-waste or Waste Electrical and Electronic Equipment (WEEE) is typically portrayed as highly toxic old computers, televisions, etc. that are “dumped” in poor countries by rich countries, in violation of the Basel Convention (an international treaty which expressly prohibits such forms of international transhipment of WEEE). While it is true that e-waste contains hazardous materials, and that improper handling and disposal of these materials can greatly pollute the environment and compromise public health, it does not negate the fact that the materials embedded within e-waste are incredibly valuable. In fact, e-waste — considered pound-for-pound as a “raw material” of the global production chain — is among the most valuable on the planet: one ton of old mobile phones has 100X the concentration of precious metals like gold and silver than does an equivalent amount of ore mined from the earth. Architecture: Usually when most people think about (the practice of) “architecture”, they think about high-end residences or large-scale projects. In Africa, these are typically the only kind of construction projects (along with smaller interventions by the government and NGOs) that have large enough budgets to pay the professional service fees of architects. This leaves the majority of workers and construction works on the continent, which occur in what social scientists call the “informal sector”, outside the design domain of architects, or the scope of formal architecture. The point of departure for this workshop is to propose that this default strategy for Africa’s built environment misses the point. If to date architecture has had limited success in re-configuring the African terrain, perhaps it is time to invert the approach: try to introduce innovation at the bottom, and let it spread. * EEE- or 3E-materials: Consider electrical and electronic equipment, at all condition levels, as a raw material for global production chain. 3-E materials are a broader and more inclusive range of materials compared to e-materials, e.g. electronics materials based on silicon or other semiconducting materials, and such materials in aggregate, i.e. a circuit board.